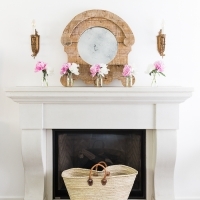 5 fun and fresh decorating tips to try this summer! 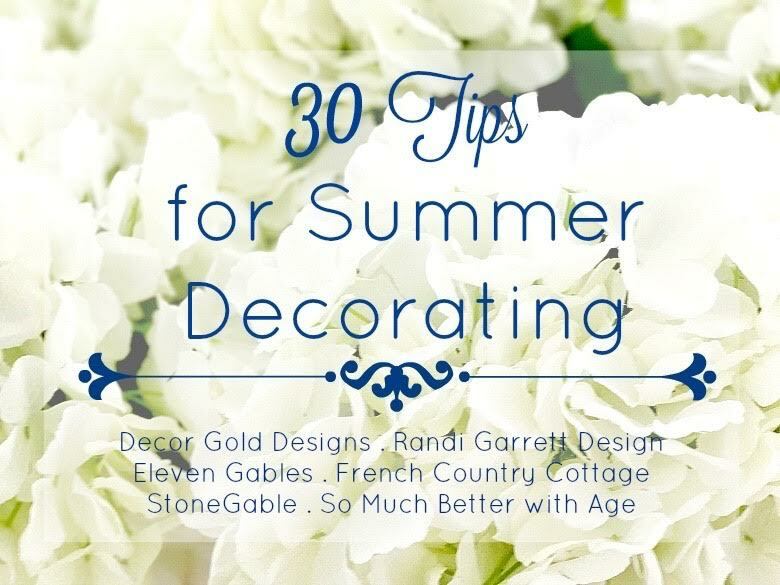 Today, me and five blogger friends are sharing our 5 tips for summer decorating which will give you a total of 30 tips to try at home! Thanks to Jennifer from Decor Gold Designs and Randi from Randi Garrett Designs for hosting this great tour. 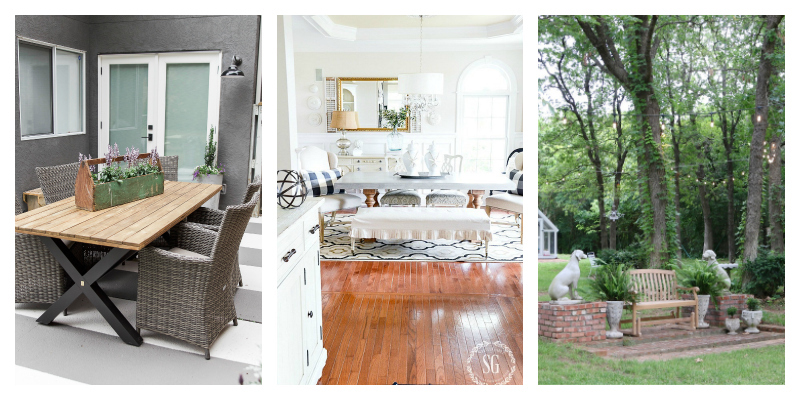 My 5 summer decorating tips include tips for inside and outside. The best part about summer is having the kids playing outside all day, taking day trips with them and going on vacation. That doesn’t leave a lot of time for making a big fuss at home but it’s still nice to have casual barbecues with friends and family so leaving our house in total disarray isn’t an option. 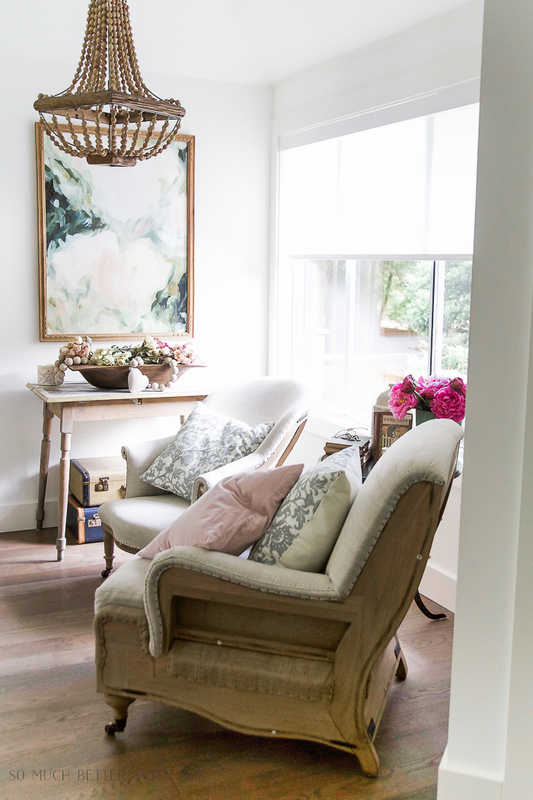 Here are my 5 summer decorating tips that work well with your fun and busy summer. 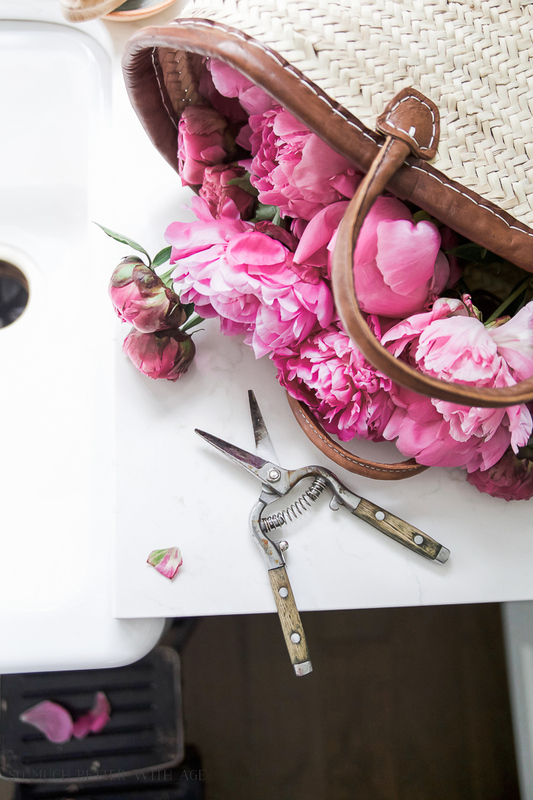 Because we’re in and out of our house all summer and away there’s not a lot of time to upkeep a garden. Planting annuals in large containers is my favourite way to garden. 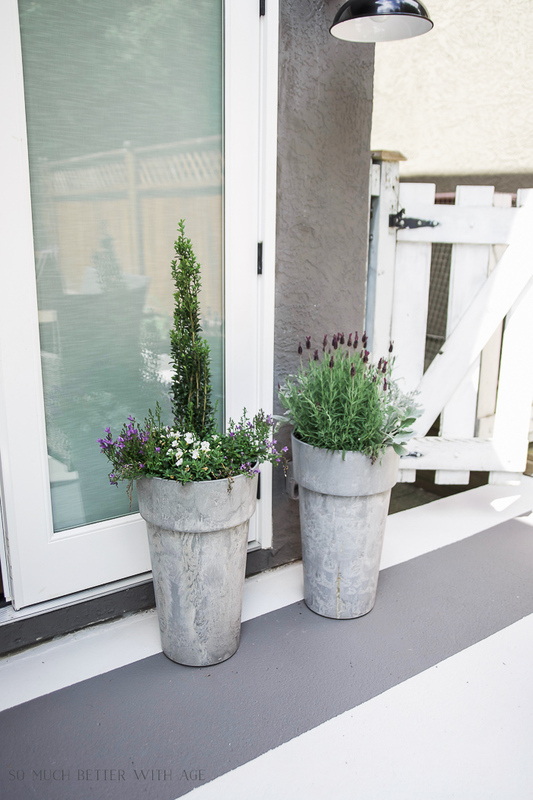 Welcome guests with containers at the front door and some on your back patio or deck area. These are relatively easy to maintain when you need to take off for vacation. I shared with you the best tip for filling large outdoor planters last month, and you can see the difference in how much these plants have grown now! 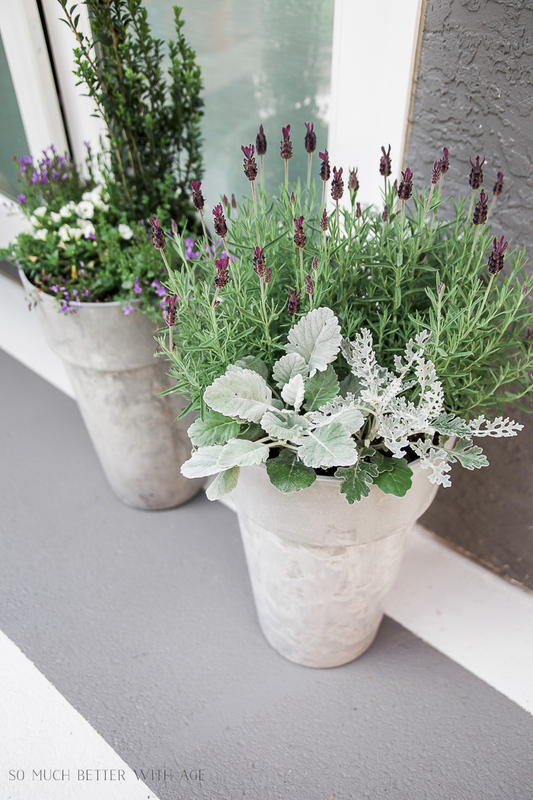 I also love using potted plants for a casual outdoor table centrepiece. These plants I picked up from the nursery the other day and put them right in this old tool shed with their plastic containers. I’ll probably transplant them over to a large container but for now this is the best way to have a centrepiece on your outdoor table! This concrete slab and old picnic table were in desperate need of repair. 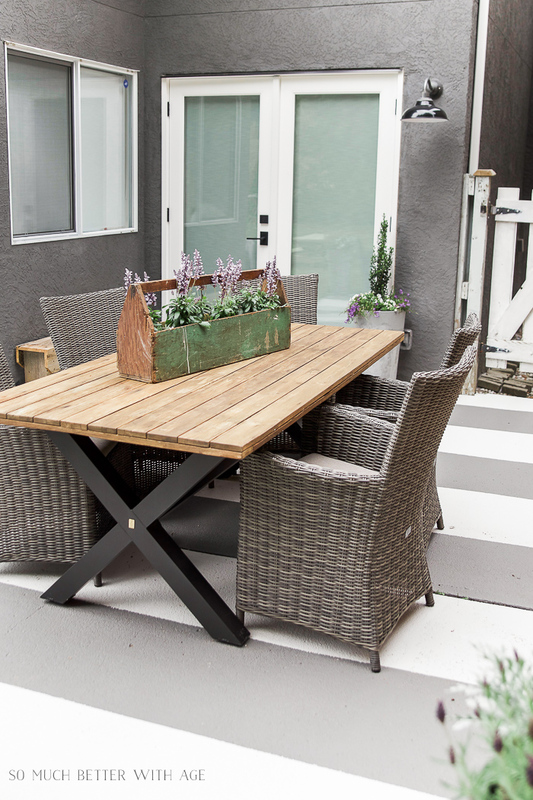 To give my backyard a refresh without spending a fortune on it or taking all summer to complete, I just used paint to give both these things a makeover! 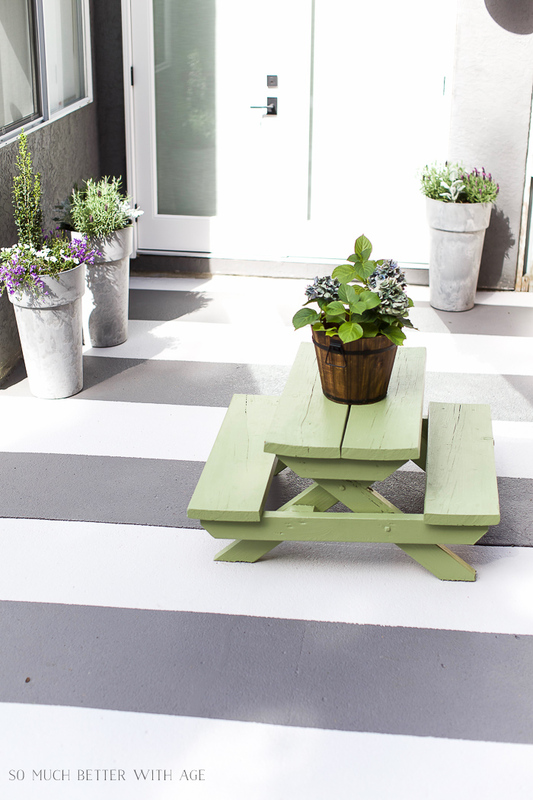 Check out how to paint stripes like an outdoor rug on a concrete slab and my kids’ picnic table makeover. Succulents are the best plant to keep alive at home when you’re away on vacation. They only need light misting weekly or a shot glass of water every few weeks or month depending on your home’s humidity level. 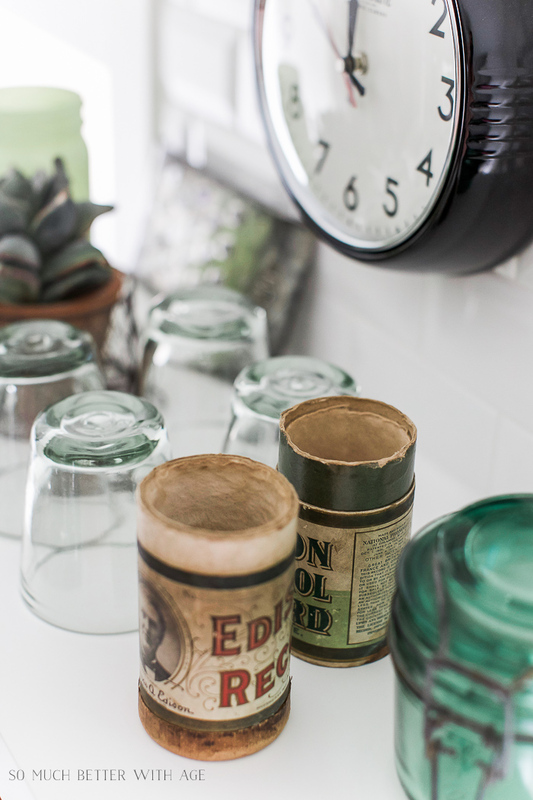 Add some on to open shelving in your kitchen or living room for a fresh look. 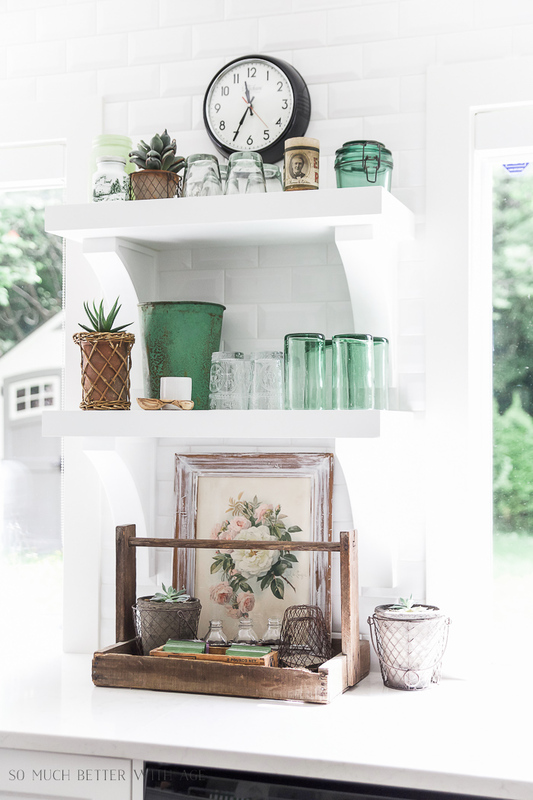 My favorite color is green so I love adding green touches throughout my home which brings the feeling of the outside in. 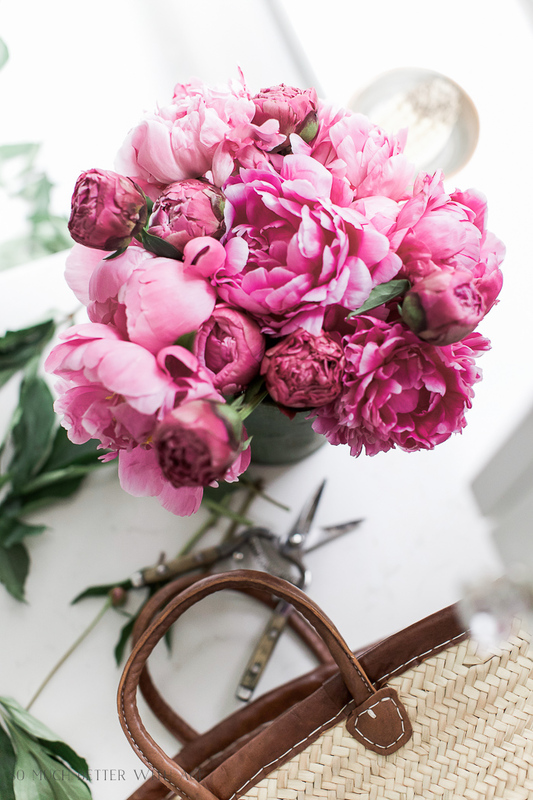 Of course when you’re home, nothing beats fresh cut flowers. 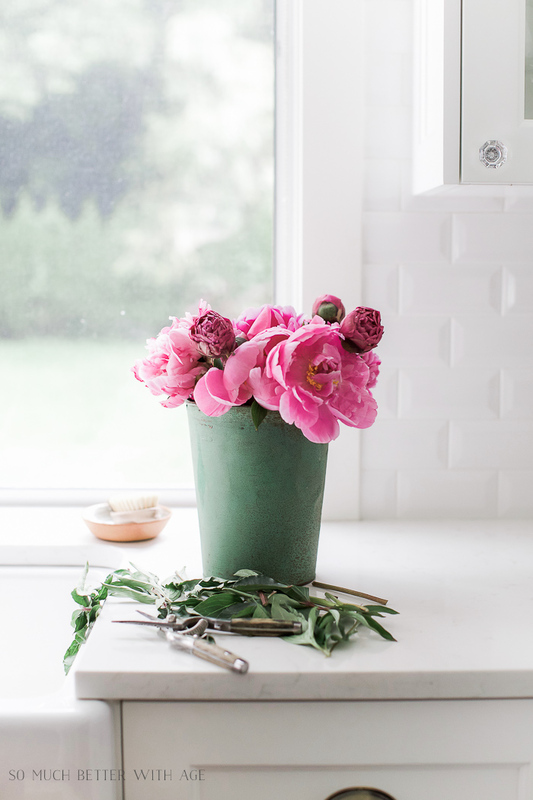 Peonies are only in season for May/June so make you grab some and take in their fragrant scent. 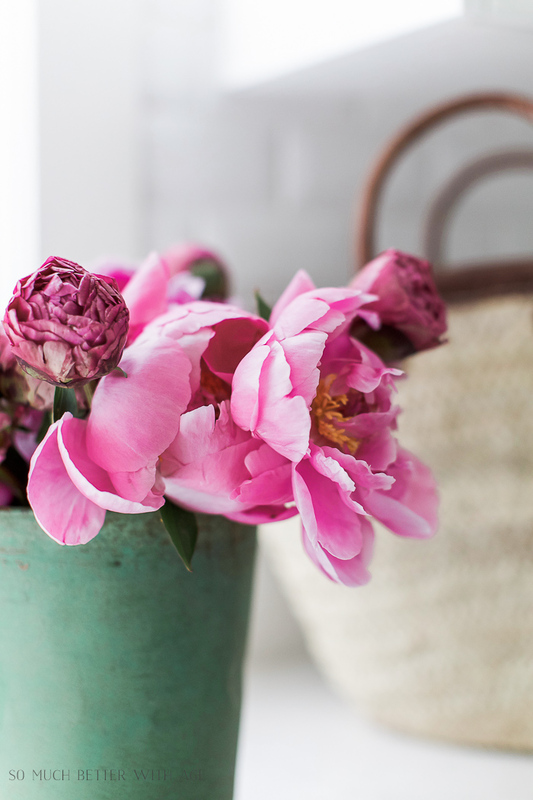 I like to buy a mixture of tight balls of peonies and some half open blooms. They open usually within a day or two and can last 1-2 weeks depending on how well you care for them. 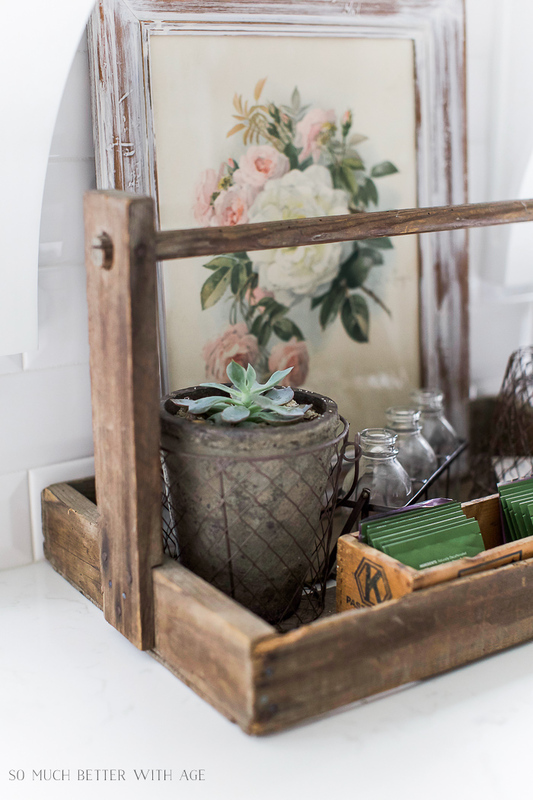 Place them in an unusual container for a fun, fresh look. 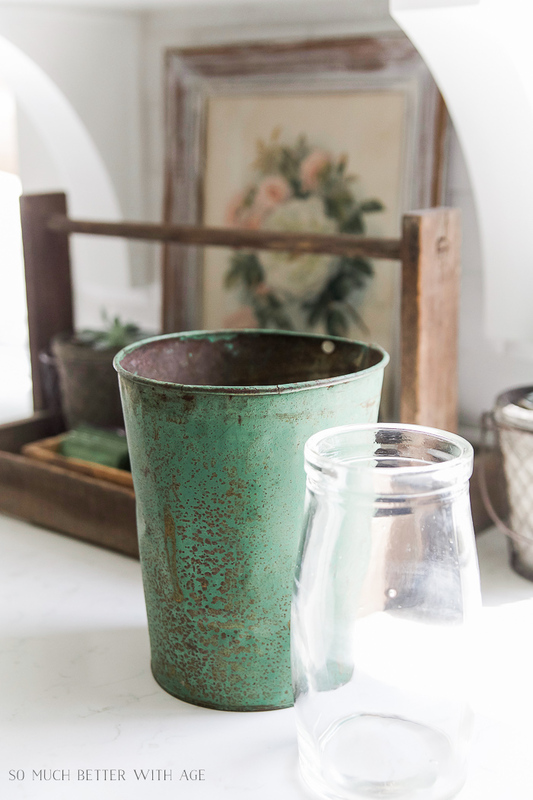 My favourite is adding a vase to this old rusty sap bucket. 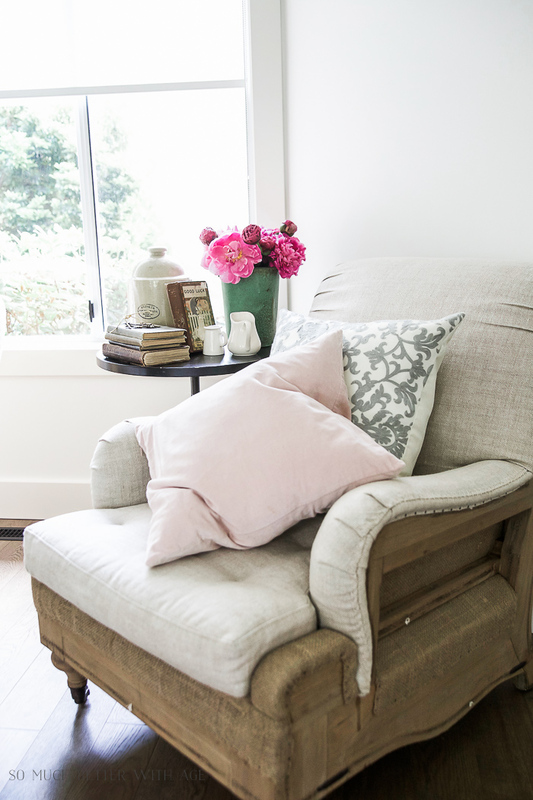 Adding some flowers and new throw pillows to a room makes it feel new and fresh. I like to change pillows seasonally but I just buy the pillow covers and invest in good inserts to help save money in the long run. I love this new art piece I recently added to the living room. 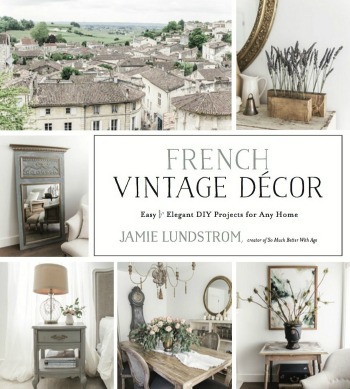 You can see more of it in my how to pick art with a French Vintage vibe post. I hope these tips help you this summer! 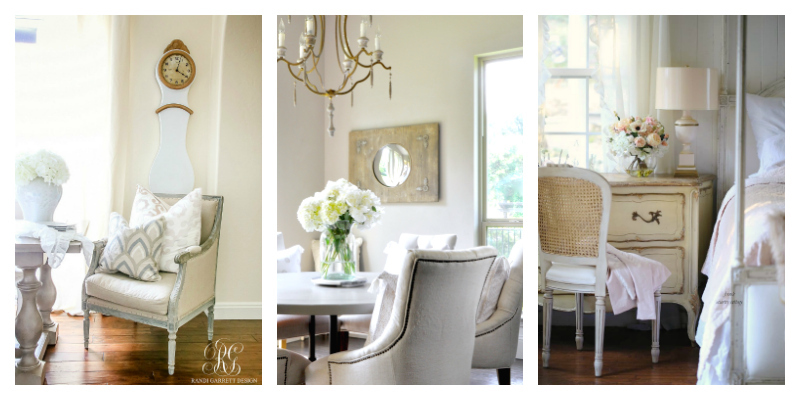 Now be sure to visit my friends for their 5 tips for summer decorating! 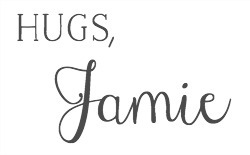 Amazing tips Jamie! 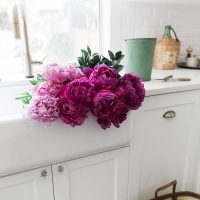 Your pink peonies are so stunning in your beautiful white kitchen! 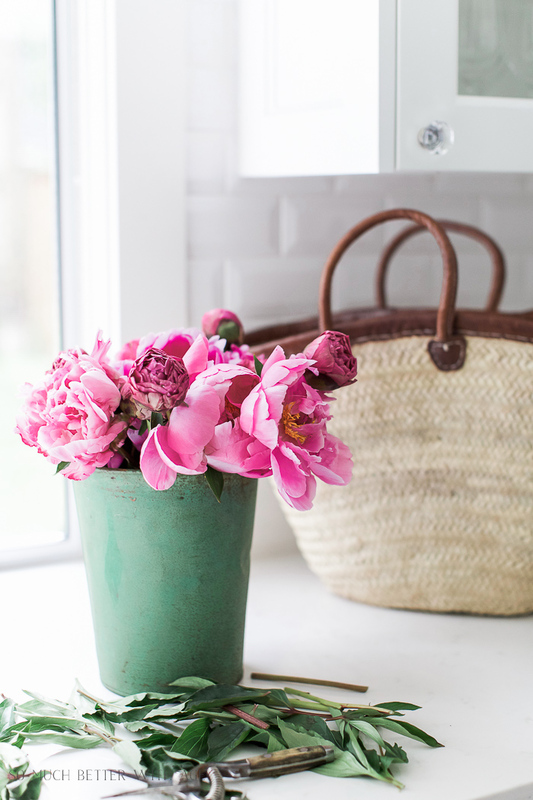 I truly love your stylings and I am grateful to know you a bit through your wonderful blog! Thank you so much, Jennifer! And thank you so much for having me! Thanks so much, Randi! It’s be so great being a part of this tour with you! I bought them at the Rachel Ashwell store on a trip to Santa Monica last year. Sorry I can’t be more helpful. If I find them elsewhere, I’ll make sure to post about it. 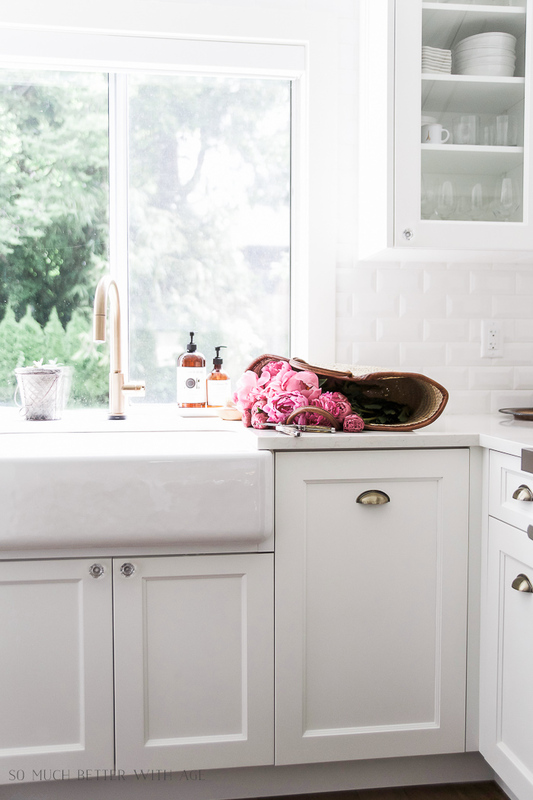 Love your home fluffed for summer!….great tips and love that you brought up succulents as they are indeed great to use especially during the months of summer travel as they are low maintenance….Will need to buy more of them! Happy Summer Jamie!!! Thanks so much, Shirley! Aren’t succulents the best for summer? Best for me with my non-green thumb lol. You just said my favourite word, Emily!! 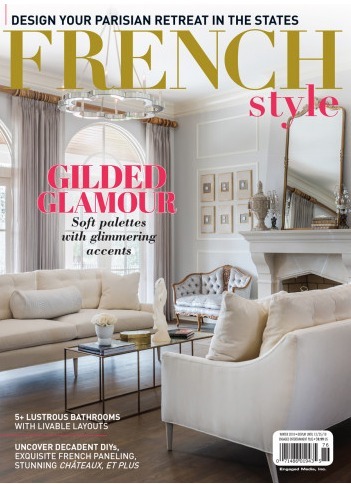 FRENCH! haha Thank you! Wow, great tips/ideas. Thank you so much, because I will be putting many to use. Love your home. Thanks so much, Pat. It’s my favourite too. 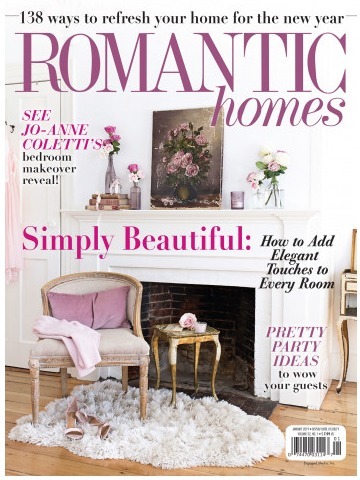 Gorgeous home and great tips. The editorial style of your photos is stunning. Thanks for sharing on Share Your Style. I am trying to decide how I want to decorate my newly renovated backyard but I can’t decide what items to go with since there can be so many options. 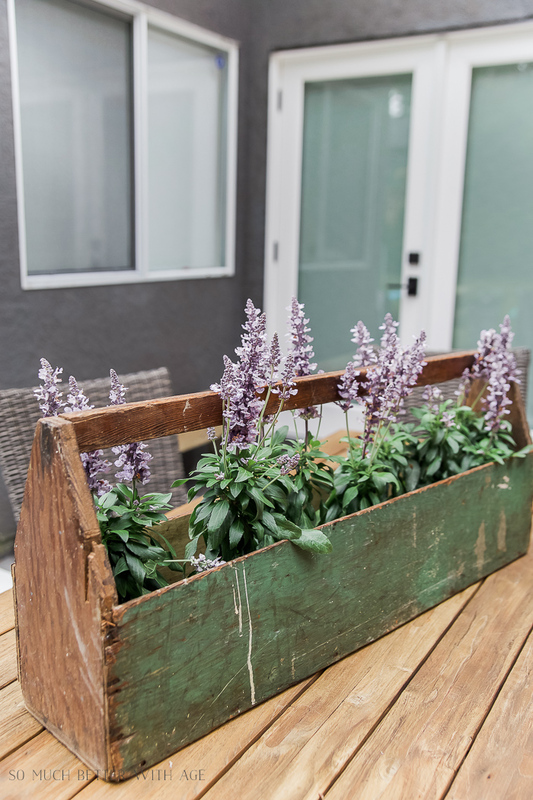 You talked about how a good way to start was to add container gardening on tables and everywhere outdoors. It was also a great idea to use throw pillows in indoor settings but it made me think about using throw pillows outside as well. Thanks for the inspiration and ideas you mentioned. Thanks for your comment, Barbara! I get overwhelmed when it comes to my backyard so container gardening is definitely easier (and easier to maintain). Outdoor throw pillows are perfect too! Wow!! Those outdoor plants are so big now!! I just went through your other article on outdoor plants too. And now I have started creating same for my outdoors. Thanks for sharing. Thanks so much, Simran. I’m not the greatest gardener but I was so impressed with my plants! 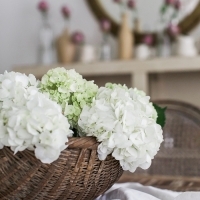 It sure was nice to know that one way to give the room a summery feel is by adding a few flowers or plants and changing the throw pillows with fresh, summer-look designs. I never actually tried changing the covers of the throw pillows before, so it might be a good idea to give it a try this time. I would also consider adding plants since I never once used plants to decorate the living room. Thanks for the advice. 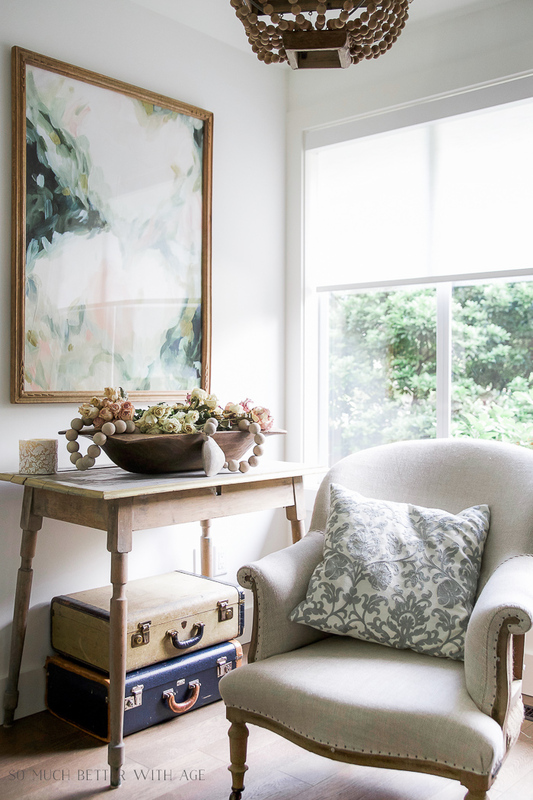 It was really refreshing to see your ideas, especially your suggestion of getting flowers and new throw pillow covers to give the room a relaxing summer feel. 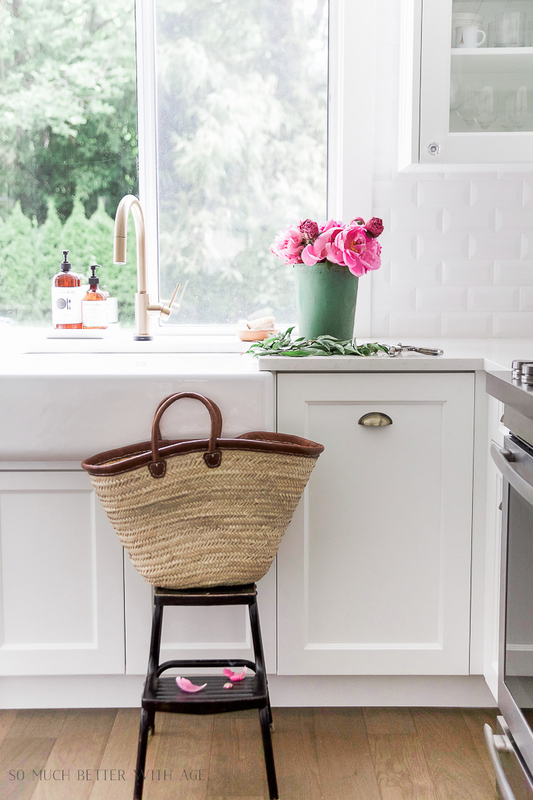 I was actually planning to redecorate my kitchen, and I want to give it a summer all year round kind of feel. After all, my kids love to stay there, so it only makes sense that I make it as warm as possible. Your ideas will truly help me make this happen. Thank you so much! I am sure that my mom will like your idea of keeping succulents indoors as she is also a huge fan of flowers and plants. You did say that they only need mild lighting and a small amount of water every few weeks. I am actually planning to use Chinese jade for the living room along with other green decors for a fresh summer taste. What do you think? I am not very good at decorating, so I need help. 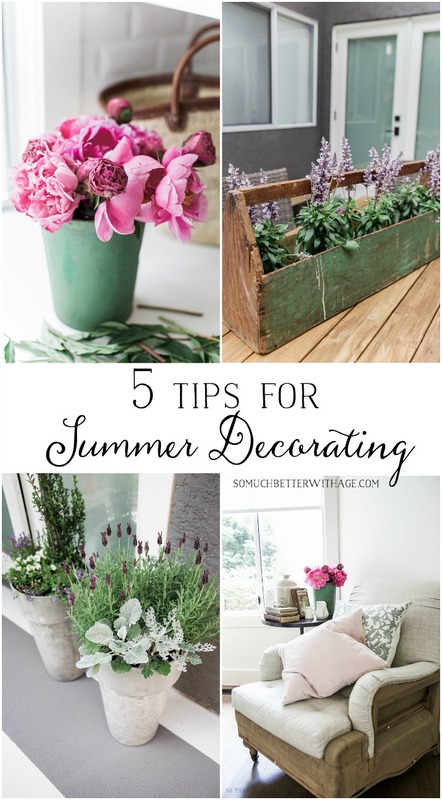 Thanks for the tips on decorating your house during the summer and keeping things looking fresh. 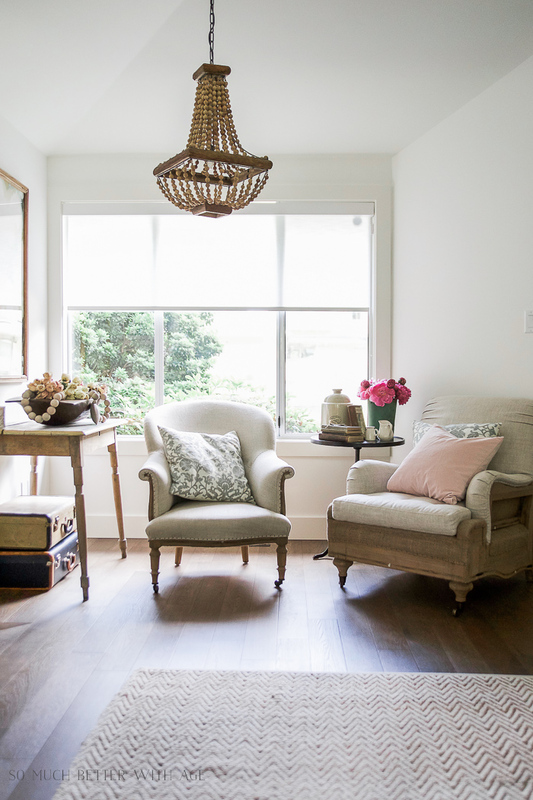 I agree that adding new colors and fresh paint is really a great way to change things up and get a new look. My sister has been looking at some home decor accents and new ways to decorate her place; I will be sure to share these tips with her. I want to remodel my living room this summer. I like your point about using succulents inside. 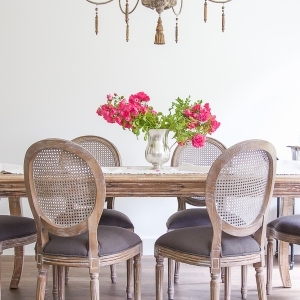 I will consider this since they are so easy to care for and add a lot of greenery to the room.